This simple, yet elegant conical wall sconce fits into any decor and is customized to your paper type and color at no additional cost. 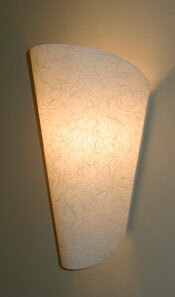 Sconces shown made from white Japanese Ginwashi rice paper. 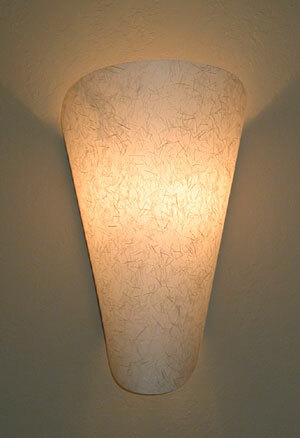 See other sconces for paper ideas. 7" across top, 13" tall, and 5" deep.